There are many special occasions and milestones to look forward to in your child’s life. Foto-fusion cards are perfect for those occasions – the transparent image makes them totally unique and this coupled with your photo and wording means your cards won’t be like anyone else’s. 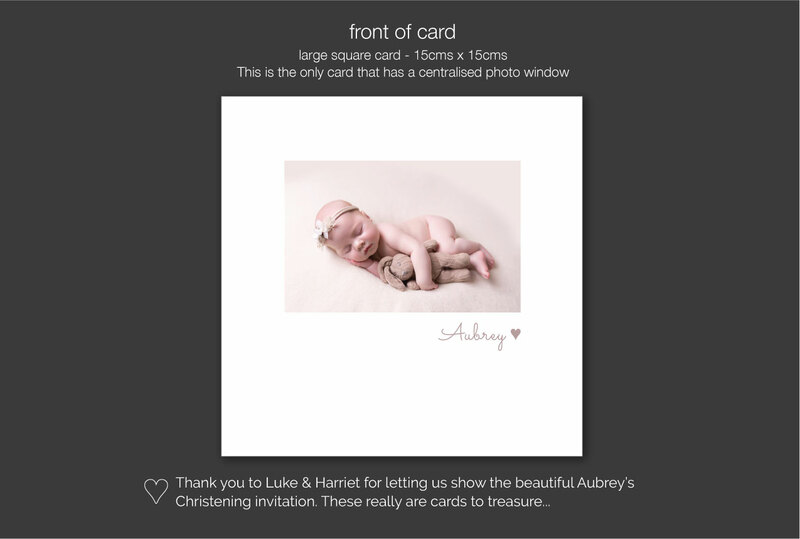 If you have had a professional photo taken of your child or if you just love taking your own photos, it’s an ideal opportunity to use your favourite on their christening invitations. 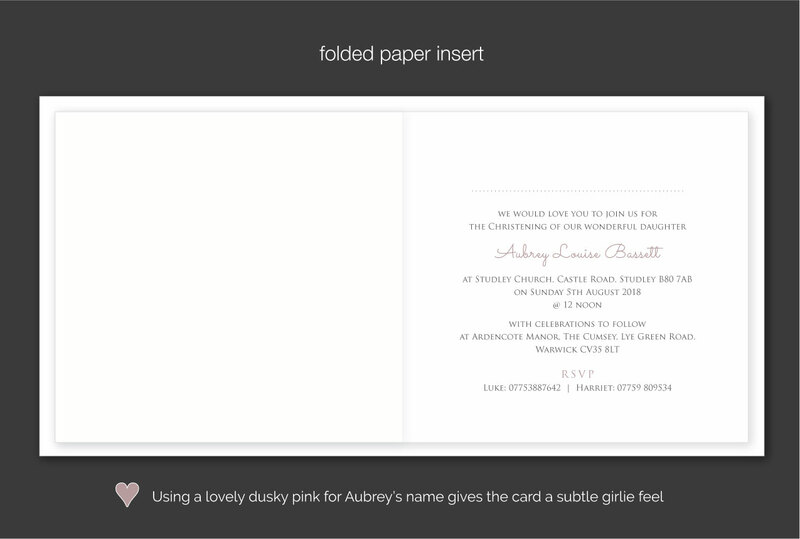 Just tell us you like the ‘aubrey christening invitation’ if you would like to use any design details from this example.